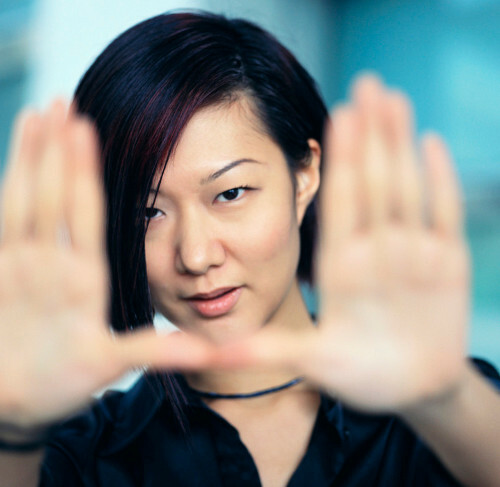 Do you have trouble getting people to open your nonprofit appeals? 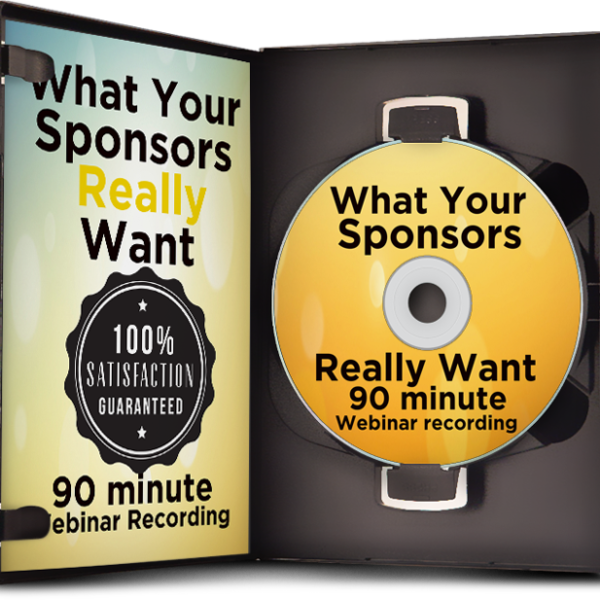 Do you want to learn the tactics of great appeal copywriting that will help people tear open your envelope and GIVE? Now you can learn how to write a stunning direct mail package, piece by piece. In this webinar, you’ll learn how to make your appeal letter, step by step, from start to finish. We’ll look at all of the different kinds of envelopes, and which ones have gotten the greatest return. You’ll learn what headers work and why. We’ll look at the top nonprofit mailers in the US and talk about what works best. Have you ever experimented with enclosures? If so, you’ll hear about some controversial enclosures and what REALLY works. You’ll learn how to create tension in your letter, that urgency that makes people give. What if your board doesn’t like your ideas? This webinar will walk you through how to get around writing by committee, step by step. As a bonus, we’ll also learn how to reactivate donors. AND you’ll also see examples of how to get matching gifts. What makes the best pictures in your appeal letter? What makes a good story for your letter? What helps create urgency in your letter? What enclosures help lend authority to your nonprofit? 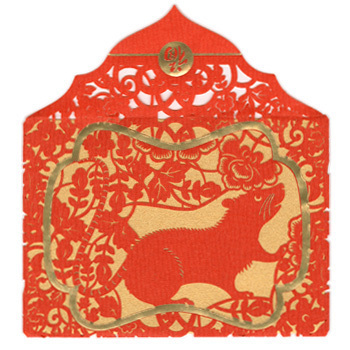 What should your envelope look like (with lots of successful examples)? 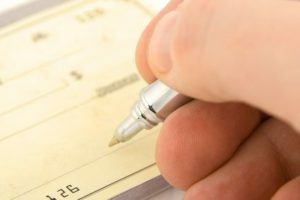 BONUS: How can you solicit matching gifts? Webinar slides and presenter notes, so you can concentrate fully on the webinar, without having to worry about missing something! 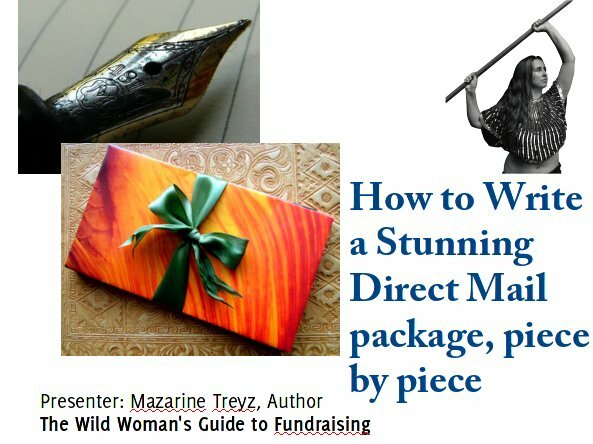 Taught by Mazarine Treyz, Author of The Wild Woman’s Guide to Fundraising, called one of the top 10 nonprofit books of 2010 by Beth Kanter, author of The Networked Nonprofit, and CEO of Zoetica. Mazarine has cofounded a nonprofit, fundraised internationally, worked for several national nonprofits, as well as small, local nonprofits. She has raised over $1M for grassroots nonprofits. Mazarine Treyz created the first fundraising Android Apps to help small shops train volunteers to fundraise. Her fundraising blog currently has over 31,000 monthly readers.